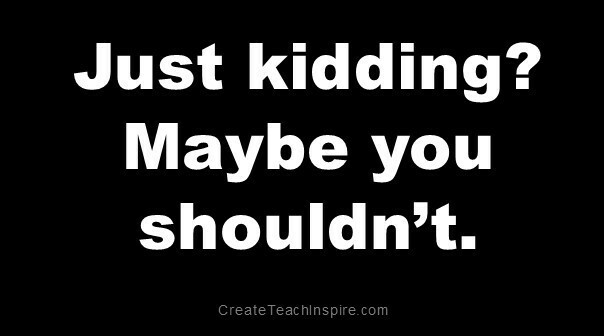 Just kidding? Maybe you shouldn’t - Create! Teach! Inspire! Do you know people who do that? We all do—in fact, I have several of them I regularly encounter in business, socially and even in church. And I don’t think they’re kidding. For whatever reason, they feel compelled to say something they know they shouldn’t and then try to excuse it by claiming that it’s humor. But they’re the only one laughing. We all occasionally say things that are unintentionally mean or offensive. Even the most deliberate thinkers among us will have a lapse in our brain-to-tongue filters once in a while and say something that requires an apology or at least an explanation. 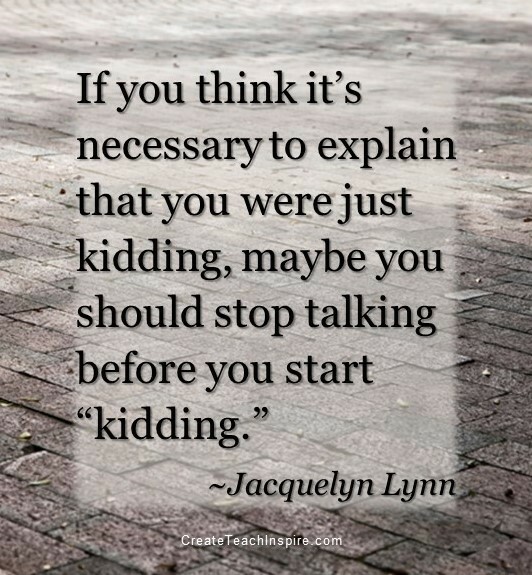 But when “just kidding” or even “can’t you take a joke?” is a regular part of your vocabulary, it’s possible that you aren’t really kidding or joking. If you can’t resist criticizing, offending or hurting someone, take ownership of your words. Don’t hide behind an excuse or pretend you’re not doing what you’re doing. If you make an honest assessment and realize you spend a lot of time “just kidding” in this way, you may need to think about what’s driving your need to express insults, cruelty or hostility. Then take that self-examination a little deeper and figure out what’s prompting those thoughts, whether or not you ever say them out loud. Your life will be more joyful if you can understand and eliminate that negativity. A humorous, self-depreciating story tells people you don’t take yourself in particular or life in general too seriously. It gives them an opening to share something similar. 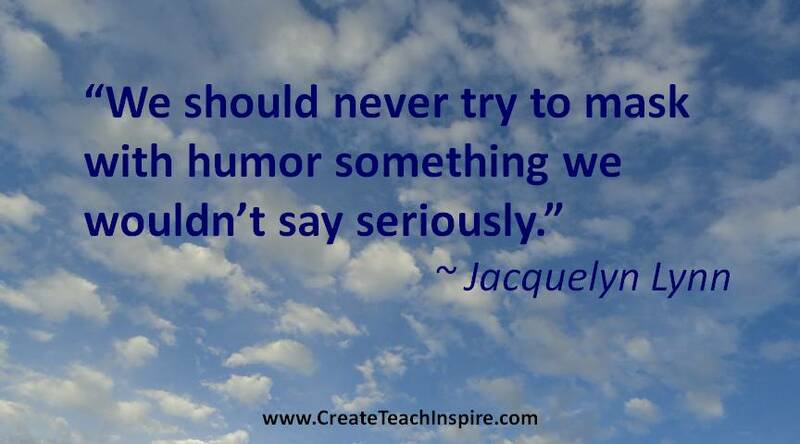 And it makes everyone laugh, one of the easiest ways to add joy to our day.